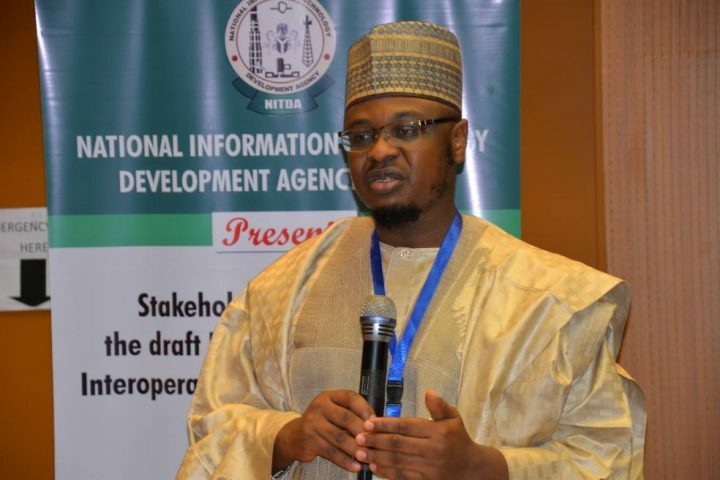 National Information Technology Development Agency (NITDA), has said that the adoption of Whole-of-Government (WoG) e-government policy can reduce wastages and block excesses in governance. The Director-General of the agency, Dr. Isa Ali Ibrahim Pantami made this known at the opening ceremony of the Stakeholders’ Engagement on Nigeria’s e-Government Interoperability Framework (Ne-GIF) in Abuja. He said that ‘’Silo e-Government systems would not help government deliver public services efficiently. Advanced phases of service innovation cannot be achieved without integrating many back-office functions. ‘’For instance, registering a Limited Guarantee Company in Nigeria requires visit to at least three institutions: CAC, FIRS, and Attorney General of the Federation physically and/or through their portals. However, the Nigerian government is becoming more complex and wide-reaching than ever before and citizens believe and expect that public services must be delivered effectively and at speed. This is inefficient, inconvenient, time-consuming and makes citizens pay more’’, Dr. Pantami said. He said through robust e-Government applications, it is possible to make the transactions and get the service delivered on a single portal, adding that citizen-centered service delivery involves breaking up silos, integrating across agencies, innovating new ways of doing business, and creating a service-focused culture. According to him, it has been proven that one of the strategic directions for e-government is to adopt a Whole-of-Government (WoG) approach for deriving expected value from IT. He said WoG involves back-end offices re-engineering, consolidation and integration of business processes across government agencies to deliver effective and consolidated services through the front-end offices at an affordable cost. Pantami said: “WoG is a deliberate path to attain Government Digital Transformation (GDT) we desire. GDT views Government as an entity by promoting the idea of ONE GOVERNMENT but still respect individual MDA’s mandates while providing government digital services. Fundamentally, e-Government or digital service delivery has three models or approaches: Government-to-Government (G2G), Government-to-Business (G2B) and Government-to-Citizens (G2C). Transforming G2G is the foundation for providing efficient digital services. It enables and drives the other delivery models. He pointed out that the main difficulty in achieving advanced G2G is the interoperability requirements of IT systems of various government agencies.